Figueras, Neus/ Noijons, José (eds.) (2009). Linking to the CEFR levels: Research perspectives. Cito, EALTA Arnhem. Goullier, Francis (o.J.). Council of Europe Tools for Language Teaching. Common European Framework an Portfolios. Didier, Conseil de l´Europe. Council of Europe (2009). 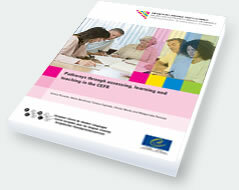 Relating Language Examinations to the Common European Framework of Reference for Langauges: Learning, Teaching, Assessment (CEFR) – A Manual. Strasbourg: Langauge Policy Devision.